“Now that I’m a working mother, my old hobbies have been replaced with those of my children. But it’s important for women to see how activities such as swimming and bicycling are also important to maintain a healthy heart.” – Sherrita Bhagan-Bruno – M.D. 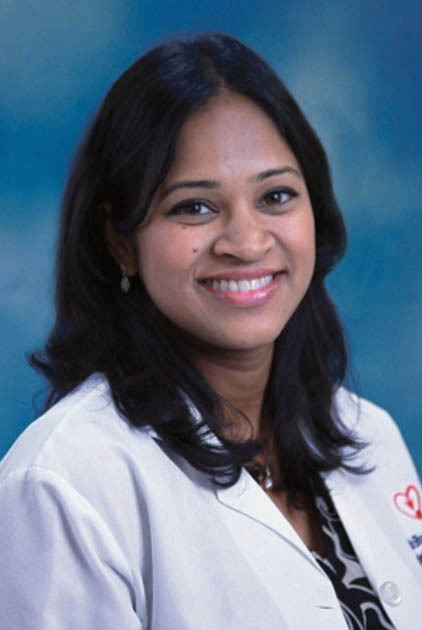 Dr. Bhagan-Bruno is a Board Certified Cardiologist and imaging expert, specializing in the latest techniques in echocardiology and nuclear medicine. Prior to joining the practice in 2011, Dr. Bhagan-Bruno was the Assistant Attending Physician at Harlem Hospital Medical Center and is currently an Assistant Professor of Clinical Medicine at Columbia University. Dr. Bhagan-Bruno graduated from the New York University School of Medicine and completed her residency in internal medicine at Weill Cornell Medical Center, and her cardiology fellowship at St. Vincent’s Catholic Medical Center. She holds a B.S. degree in chemistry and biology from St. John’s University, where she was a National Honor Society Member and received the University’s Community Service Award. Dr. Bhagan-Bruno has co-authored several medical articles that have appeared in publications including the Journal of Interventional Cardiology, American Journal of Cardiology, and the Journal of the American College of Cardiology. She also has participated in cardiac-related research projects for St. Vincent’s Medical Center, the NYU School of Medicine, the New York-Weill Cornell Medical Center, and the SUNY Downstate Medical Center. Dr. Bhagan-Bruno has a keen interest in women and heart disease. She lectures about women’s heart health issues to area business and social groups and at local health fairs. A working mother herself, she enjoys spending time traveling with her family and delights in seeing the world through the eyes of her child.